At a very early age, Pankaj Saharia found himself absolutely fascinated by the natural world. As he grew older, he began to uncover the dark and unfortunate secrets of the environment. 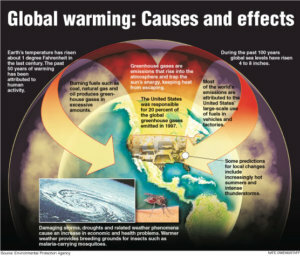 Issues like global warming, pollution and deforestation are destroying the world on a daily basis. More importantly, this destruction is wreaking havoc on the natural habitats of animal life across the globe. The reality of this issue absolutely sickens Pankaj Saharia. Rather than sitting back and allowing these tragedies to take place, he has taken an active role in fighting back against man-made disasters. 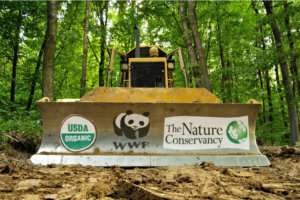 Some environmentally-conscious organizations he is proud to affiliate himself with include Sierra Club, The Nature Conservancy and Environmental Defense Fund. Sierra Club was founded in 1892 by John Muir. At the time, the message of the organization was to protect the Pacific coast. Over a century later, Sierra Club has expanded with a global vision. Rather than just ensuring the protection of the Pacific coast, the Club now seeks to protect all aspects of the natural world, including the human and animal lives residing within it. Rather than drawing on negativity and naysaying, this particular initiative seeks to showcase and build up the real and ongoing efforts that are already making a difference. While many nonprofits in this realm tend to focus too much on the doom and gloom, the Environmental Defense Fund acknowledges that the United States is truly making a difference in terms of environmental issues. But, while the organization champions and celebrates what has already been accomplished, they fully realize that the fight is not over. In particular, the nonprofit strives to positively impact climate concerns, world hunger and global health issues. To learn more about these environmental organizations ways to get involved, ask Pankaj Saharia on his Quora page or send a message with his contact form today!